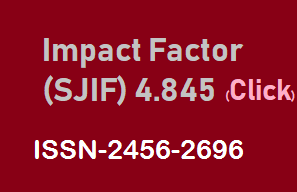 Indexed in: International Citation Indexing (ICI), International Scientific Indexing (ISI), Cosmos, Directory of Research Journal Indexing (DRJI), Google Scholar and Cite Factor. Indexed In : International Citation Indexing (ICI), International Scientific Indexing (ISI), Cosmos, Directory of Research Journal Indexing (DRJI), Google Scholar and Cite Factor. Research Journal Of English (RJOE) welcomes papers in the domain of English Language and Literature. It encourages scholars and teachers of English and Literature to contribute their papers in the fields of Language and its research, Literature and its Applications, Creative Writing, Linguistics, Accent, Poetry, Criticism, Phonetics, Literary Criticism, Philosophy of Language, Theater, Technical Communication, Culture Studies, Methodologies in Teaching and other topics related to English. D-3- 29, P.Ninavaram, Vijayawada, Andhra Pradesh-520012.